Sharpen your colored pencils and prepare your paints! 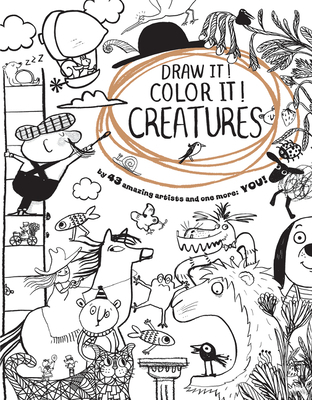 Creatures--from mermaids to dragons to aliens--invite you to draw, write, color, create, and complete pictures in this brilliant interactive coloring book where you bring the scenes to life! Join over forty award-winning artists, including Emily Gravett, Tim Hopgood, Axel Scheffler, and many more, on a creative journey through playful and bold black-and-while line drawings, where you add your very own artistic touch.